Despite it being a mere 52ºF and only 5am in Wellington yesterday morning, I joined 15 other mobile developers at the Alphero HQ to watch the Apple Event live stream. In the two hours following, we were shown some very cool products and product demos, making the early rise well worth it! After the Apple Event in June, I published a post summarizing what developers need to do to prepare for the upcoming iOS 9 (officially launching September 16th). Following suit, I’ve summed today’s important announcements below, including key takeaways for mobile app developers. You can expect Watch owners to be excited about new apps for GoPro and Facebook Messenger, as well new Watch colors and straps, including a partnership with Hermes. True to character, Apple reinforced its commitment to (PRODUCT)RED with a new band, as well as environmental responsibility. Key Takeaway: If you have an Apple Watch app, test it with watchOS 2 and take advantage of the new features to better serve your users. Learn more: http://www.apple.com/watch/. 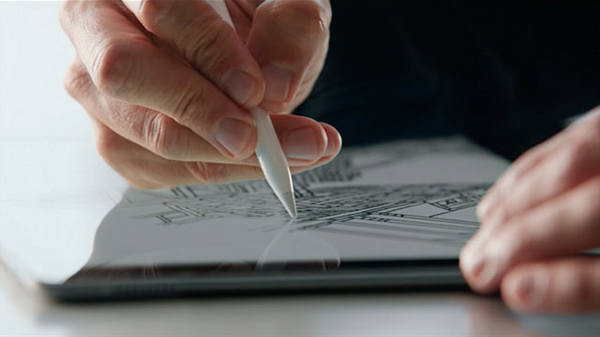 Apple’s biggest announcement today was two new products in their iPad lineup – the iPad Pro and iPad Mini 4. The iPad Pro boasts a 12.9” screen and four speakers that adjust sound based on how you’re positioned – making it ideal for streaming tv, rich content, and even working. It’s now almost as thin as the iPad Air, but still has a much faster processor and increased battery longevity. The new device is more work friendly with a Smart Keyboard (A Smart Cover with a built in keyboard that charges magnetically vs. Bluetooth), Microsoft Office and Adobe Creative Cloud for iPad Pro, and the Apple Pencil. The smart stylus provides not only single pixel accuracy, but also tracks pressure and angle to create even more precision, which demoed impressively with drawing apps. Key Takeaway: Use the larger iPad Pro screen to create a better experience for your users. Developers – make sure your apps scale to the larger screen with AutoLayout and Size Classes correctly. Learn more: http://www.apple.com/ipad-pro/. The Apple TV receives some much needed love today with a brand new operating system called tvOS. The new system has completely makes apps searchable Siri, simplifying the TV experience for users. Interested in new kid-friendly movies? No problem, she’ll tell you all that are available. 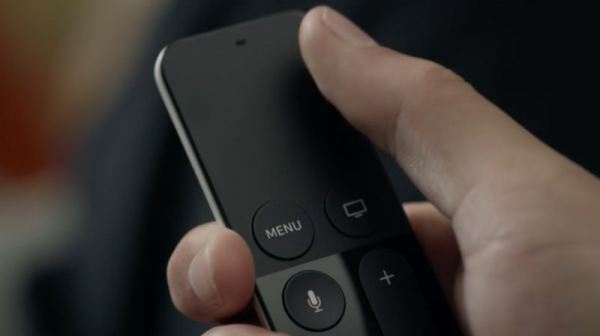 Pairing this, comes a Siri-ready remote, which is touch sensitive like a trackpad and can be moved around like a WiiMote. What’s even more exciting is that Developers can now create extensions to their apps to run on the TV – making your living room another place to enjoy iOS games and apps (for example, Gilt for shopping or your favorite weather app). 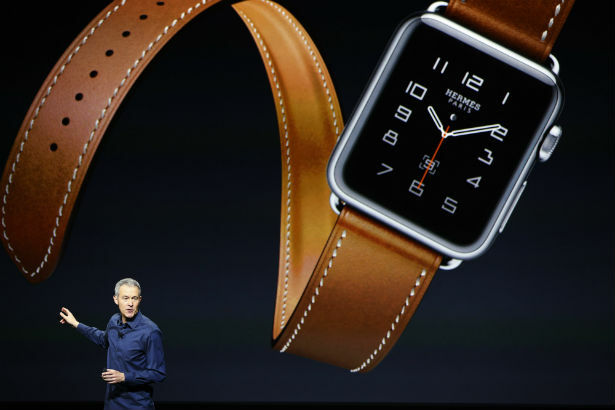 This means to get these new apps, they’ll be part of existing iPhone apps – just like Apple Watch apps are. TechCrunch offers a two minute overview video here. Key Takeaway: Start thinking about how your apps could be used on a TV screen. Developers can get started here: https://developer.apple.com/tvos/. Learn more: http://www.apple.com/tv/. Last, but not at all least, new iPhones! The iPhone 6s and the iPhone 6s Plus will hit mailboxes starting September 25th for enthusiasts who get in on the September 12th pre-order. The new devices come with 4K video shooting, 12MP cameras (that’s two times better than previously), better flash, and faster A9 processors, cellular and Wifi connections. Plus, they have a new feature called Live Photos – Newsweek calls this a “built in GIF-maker,” but “Harry Potter photos” works too. Now, each time you take a photo, you can optionally take a short video (1.5 seconds either side of the still image) so when you look at the photo again, you can view the short video to remember the moment not just the photo. It’s a really neat way to store memories. Apple delivered much more than simply adding Force Touch to the iPhone 6s, 6s Plus. 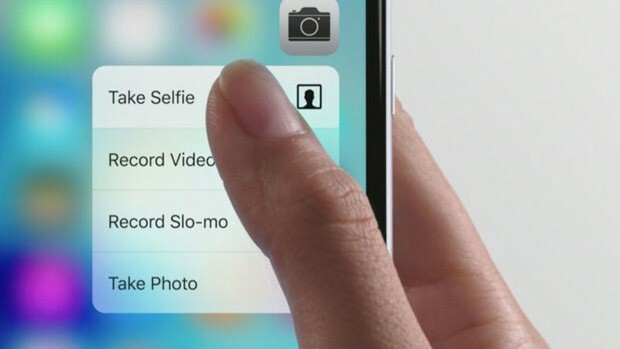 The new devices will take the form of 3D touch – a brand new interaction that allows “peeks” and “shortcuts” into applications, where you can tap and hold on the screen to jump straight into certain modes. This means users can now tap and hold on the camera app icon to jump straight into selfie mode, or quickly preview an email. Check out this two minute video preview from the Verge. Key Takeaway: Consider the best uses for 3D Touch into your app, and move quickly to implement (especially utility and productivity apps.) What quick shortcuts or “peeks” could you provide to users? Learn More: http://www.apple.com/iphone-6s/. There’s some very cool new technology to explore – both as a developer and consumer. Look out for future posts on Apple Watch, iPad Pro, 3D Touch, and Apple TV, as we’ll get deeper on developer insights and how you could use these to improve your product and business. In the meantime, reach out on Twitter (@samjarman) (@Carnivalio). PS: yes there are new Emojis, too!  Archived in Mobile Agencies, Press & News and tagged 3D touch, app developers, Apple Event, Apple Pencil, Apple TV, Apple Watch, Force Touch, iPad Mini 4, iPad Pro, iPhone 6s, iPhone 6s Plus, mobile app, Recap, tvOS, watchOS 2. Bookmark the permalink.